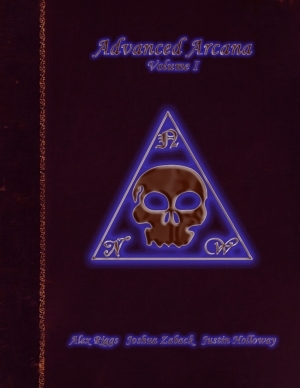 Advanced Arcana – Volume I is a PFRPG sourcebook written by Alex Riggs, Joshua Zaback and Justin Holloway from Necromancers of the Northwest. 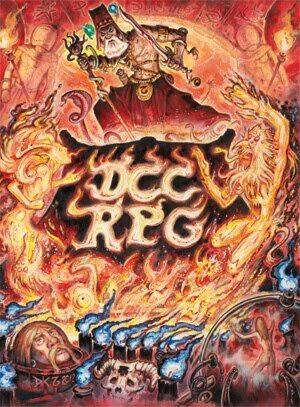 The PDF of 59 pages is a collection of new spells, cleric domains, sorcerer bloodlines and all things magical. Even taking into account that Pathfinder is relatively new, we’ve by now a good number of electronic products full of new spells and material for spellcasters. It a saturated market, but one that once in a while gives you good surprises. Advanced Arcana opens with letters written by the arcane tome’s author. This kind of approach is rather risky from an unknown publisher, in part because these fictions are rarely good (and also because they consume a fair amount of space). Personally I find most of them tedious. Unfortunately, in this point, Advanced Arcana is not an exception. But, if you survive through these pages, you reach the good stuff. The first rule that sets AA apart are segment spells. Representing magic of a higher and more powerful order, segment spells require multiple slots to be casted. These slots must be of appropriate level, but different spellcasters can join forces to cast a segment spell quicker. This rule represent in a very simple way the kind of magic that we traditionally see in fantasy literature (like the classical summoning of powerful demons and servants). Other two great selling points of AA. First, we have spells for the new base classes of the Advanced Player’s Guide, which is an excellent way of consolidating them. Second, there are almost no spells about dealing damage as a main effect. One of the things that really annoys me about D&D 3rd Edition (and Pathfinder) is the way that it appears to simulate video games’ magic – in the end all we have are massive lists of spells that just deal damage in different ways. Sometimes spellcasters are just the medieval counterpart to modern artillery. I was enjoyed more weird and picaresque spells like rope trick, floating disk, the various illusions and polymorphs. Most of AA’s spells are more complex and weird, with many being dedicated to affect other spells. The PDF’s appendixes brings new cleric domains (like shadow, sleep and prophecy); four new sorcerer bloodlines – one for each genie race (curiously, AA has a “Dao bloodline”, where Pathfinder’s earth genies are called the shaitans); new focused wizard schools (a new rule from the Advanced Player’s Guide). The final appendix has new familiars, with some really weird (but mechanically sounding) options like animated objects, skeletons and the already infamous bonsai tree (the funny part is that most of my players want one). Advanced Arcana – Volume I uses a papyrus background with a simple layout. The PDF’s art goes from medium to bad, but the creative and original game material more than make up for that. The price is excellent and I hope we can see more Volumes from the guys of Necromancers of the Northwest. Probably one of best clichés of high-fantasy literature are the magic duels between powerful spellcasters. The brutal clash of potent spells, filing the air with fire and thunder, rending asunder the walls of reality… that kind of stuff. The problem here it’s that Pathfinder (or D&D, or “your favorite d20”) doesn’t accommodates that kind of battle, specially due to the limited way counterspelling works. Let’s admit: they’re not very dramatic. Before starting to write my totally unbalanced house rules, I’ll like first to clarify that I don’t think that Pathfinder’s magic rules are bad. Quite the contrary, they’re funny and engaging, demanding a good deal of planning and foresight from players and DMs. 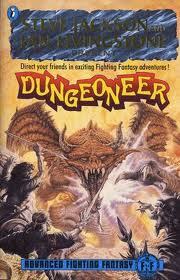 Most important: they work very fine inside Pathfinder’s parameters of dungeon crawling and scenario exploration. Having said that, the following rules were created to better simulate the kind of magical exchange we see in the literature (and also to give an extra layer of tactical thinking when there’re spellcasters around). Originally I was trying to simulate the magic duels of the Dragonlance campaign run by a friend of mine a couple years ago. In his games, counterspelling was a free action and limited only by narrative constrains. For example, if your wizard was targeted by a cone of cold he could cast – as a free action – a wall of fire as a counterspell. The reason behind that was that a wall of fire would stop a blast of freezing air. It fit thematically. Although charming from a narrative point of view, this approach reduced the whole magic battle to a simply resource-depleting match – the guy with more spells would always win. 1) Suffer the spell effect normally, like any other character. 2) If he has a dispel magic prepared (or as known spell) or the specific opposite spell (for example haste/slow), he can cast it an immediate action to counter the attacking dweomer. Follow the normal rules for counterspelling for each situation. 3) If he has a spell of the same level or higher and of the same school, he can use to attempt a counterspell. The spellcaster must succeed at a caster level check, following normally the dispel magic rules. To use this option, he must have a Ready Action or sacrifice his next Standard Action (this last option can only be attempted once per round). The Improved Counterspell feat is removed from play. If a tie occurs in any counterspell caster level check, roll on the Wand of Wonders (or any of your favorite wild magic tables). The rules above greatly increases the chances of defense by any spellcaster against magic, which I find thematically appropriate. After all, characters like wizards and clerics should be able to reflexively protect themselves against incoming mystical attacks in ways other than just saving throws (or a few and limited spells already up). This spell works like a dispel magic used to counterspell, but with the additional limitation that it can only be cast as a reaction to a spell or spell-like ability targeted at you. It follows all the same rules of counterspell found in dispel magic, with one exception: lesser dispel magic only protects the caster. If the attacking dweomer is an area spell or affects multiple targets, a successful lesser dispel magic will only protect the caster. All the other targets are still affected normally. P.S. : And for the record – Order of the Stick rocks! …with revised rules (that worries me a little) and a new book. Great news for old fans like me! The site doesn't give much, but it certainly brings back memories. The Cavalier’s Creed is newest installment of the Advanced Feats series for Pathfinder. For those yet unfamiliar with the line, each Advanced Feats product is a small PDF – 16 pages – devoted to one of the base classes of the game. The first part of the book focus on the cavalier base class features, trying to elucidate some of its core elements and tactical advantages. 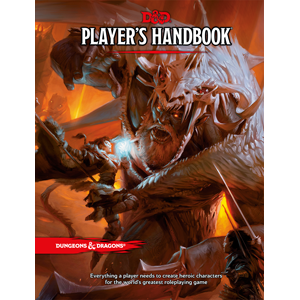 I find these sections rather bland, though I can’t deny that they’re useful to inexperienced or new players (especially in the case of the cavalier, one of the new base classes of the Pathfinder Advanced Player’s Guide). For me the real “meat” of this book is its 30 new feats, most of them followed by commentaries of the author, where he explains the design reasons and intents behind each new mechanic. I’ve found out that the Advanced Feats line is not your usual ‘supplement of feats’ – and that Sigfried Trent isn’t afraid to push the feat mechanics to new areas of Pathfinder. Albeit it’s true that sometimes this may lead to unbalanced rules, I find it a refreshing and thought-provoking approach. A fine example is the feat Provoke that’s practically a new class feature and reminds me of similar abilities, like the challenge feature of the Night class (from the Player’s Handbook II of the 3.5 Edition). The author clearly states in those cases like that that he’s dealing with a very polemic mechanic. As we’re talking about the cavalier, there’re a fair number of Teamwork feats, like Back to Back, that prevents enemies from flanking the heroes and Pack Attack, that allows you to enjoy the benefits of allies flanking a common adversary. Certain feats improve class features, like Bloody Banner. Some are useful to any character, like Bravery (bad name here, as it was already used by the Pathfinder fighter class) or Fortune. Cavalier’s Creed, obviously, also has some feats dedicated to animal companions or mounts. Finally, there feats to improve the Leardership rules, like Extra Cohort and Great Leader. Now, about the strong stuff, we have feats like Defensive Sunder, that lets you execute a Sunder maneuver while fighting on the defensive (full defense, fighting defensively or combat expertise) if your enemy misses an melee attack against you. Another extremely tempting feat is Near and Far, that lets you attack adjacent foes with reach weapons. Some of the new feats appear to be draw from classics of the fantasy genre, like Shield Evasion (finally my knights will be able to resist unscathed to dragon’s breath!) . Cavalier’s Creed ends with three full character builds for the base class: the defensive Green Knight, the riding master Tawny Knight and high-damage striker Black Knight. All things considered, Advanced Feats: The Cavalier’s Creed an excellent source of feats, even if you’re not that interested in the class itself. The price range and quality of PDF make of it a worthy acquisition.